AIDS stands for "acquired immune deficiency syndrome" or "acquired immunodeficiency syndrome" and denotes a condition, which results from the damage done by HIV (human immuno virus) to the immune system. 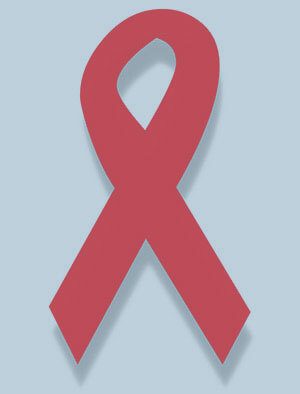 The condition was first identified in 1981 and the name "AIDS" was first introduced on July 27, 1982. HIV (Human Immuno Virus) can only be transmitted between people through direct contact of a mucous membrane or the blood stream with a bodily fluid. Hence, there has been a lot of stigma around the spread of HIV and people living with HIV and AIDS. It has been estimated that around 33 million people around the world have been infected with HIV and that around two million people die from AIDS related conditions each year. Almost 25% of all South African children under the age of 15 have lost at least one parent to AIDS. The province of KwaZulu Natal, where Project Gateway is situated, carries the heaviest burden with the most children and adults affected by HIV/AIDS. South Africa has the biggest and most high profile HIV epidemic in the world, with an estimated 7 million people living with HIV in 2015. In the same year, there were 380,000 new infections while 180,000 South Africans died from AIDS-related illnesses. South Africa has the largest antiretroviral treatment (ART) programme globally and these efforts have been largely financed from its own domestic resources. The country now invests more than $1.5 billion annually to run its HIV and AIDS programmes. However, HIV prevalence remains high (19.2%) among the general population, although it varies markedly between regions. For example, HIV prevalence is almost 40% in Kwazulu Natal compared with 18% in Northern Cape and Western Cape. If you would like to make a donation to our work, please contact us.